Gain experience go behind the scenes and support the Festivals… become a Festival Volunteer! Volunteering is a fun way to be part of major cultural events and make new friends. Whether you have skills you can offer, or want to learn new ones – from retirees to students – anyone can get involved! 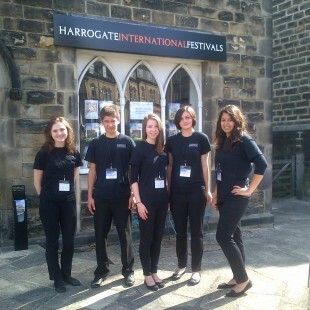 Harrogate International Festivals relies on enthusiastic and hardworking teams of volunteers to deliver its acclaimed programme. People of all ages, interests, backgrounds and walks of life generously give their time to help us make these festivals possible. Volunteering is a great way to gain behind-the-scenes insights into how the Festivals work, have the opportunity to attend fantastic events and support your local community and a local charity. We are always recruiting new volunteers to help with the smooth running of our world-class Festival programmes. We offer lots of different opportunities including: stewarding, office administration and distribution of marketing materials. 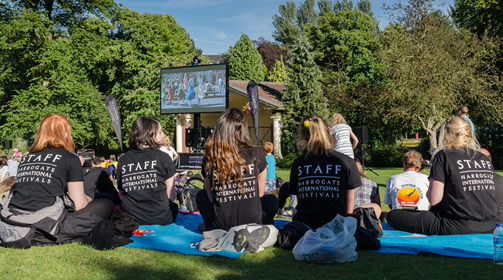 If you are interested in joining our ranks of fantastic volunteers or would like more information on what volunteering for Harrogate International Festivals involves, then please contact the Festival office on 01423 562 303 or email beth@harrogate-festival.org.uk.